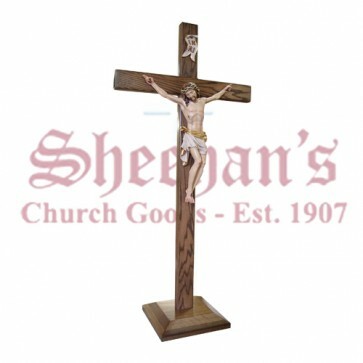 Exquisite Standing Crucifix measures 48" tall including the base. 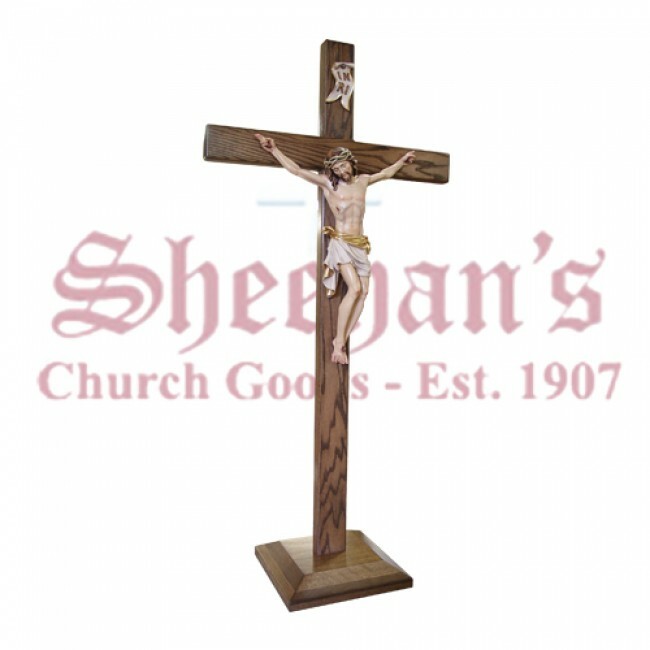 Wood carved colored corpus measures 19". Cross is removable from base. Extreme detail on the face of Our Lord as well as His entire figure. Delivered via freight truck and freight charges will apply.